Former IWGP Heavyweight Champion unveiled at Double Or Nothing rally. 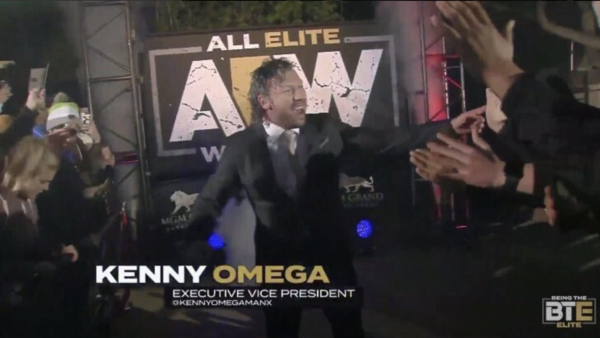 It's finally official: Kenny Omega has signed with All Elite Wrestling. As expected, the former IWGP Heavyweight Champion was unveiled at last night's Double Or Nothing ticket announcement party, during which he confirmed himself as a "full-time member" of the promotion's growing roster. 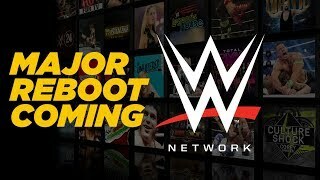 Omega's role won't be restricted to the ring, either: a graphic shown on the screen while 'The Cleaner' was making his entrance identified him as an "Executive Vice President," which is the same role that Cody Rhodes and The Young Bucks will perform for the company. Claiming that he hadn't actually signed his AEW deal until that morning, Omega launched into a speech on "changing the world," but found himself interrupted by Chris Jericho. A pull-apart brawl ensued, and it looks as though the two will unleash a sequel to their acclaimed Wrestle Kingdom 12 match at Double Or Nothing (25 May). There are currently no details on the terms of Omega's contract, so it's unclear whether or not he'll be able to keep working with NJPW (should he wish to do so). Jericho's deal allows him to operate within both promotions, but for now, it looks like Kenny's January announcement that he was done with New Japan was earnest.